Humbled to have my comment featured here :) Good post, interesting thoughts. I am excited (and, as a synthetic chemist, rather fearful) to see this field develop. I think it would be truly awe-inspiring to witness the development of a superintelligent synthetic planning program. 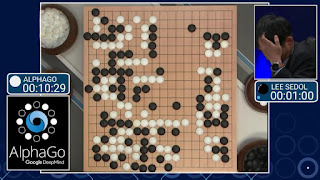 Perhaps we would learn entirely new ways to construct molecules just as AlphaGo demonstrated some wholly new moves in Go. Could be fascinating. I have always taken a clue from Peter Thiel who has said that it's wrong to think that somehow machines will "replace" us. He thinks - and I agree - that the best results always come when humans and machines work together. In fact my own field of drug design where computers have made a bigger dent than in synthesis is a good example. In that case the computers help us narrow down options and show us plausible paths, but we still have to use expert knowledge, sometimes based on very human constraints, to then pick the solution. I don't know exactly how the interplay between synthetic chemists and machines will be working out in fifty years, but it could be along similar lines. 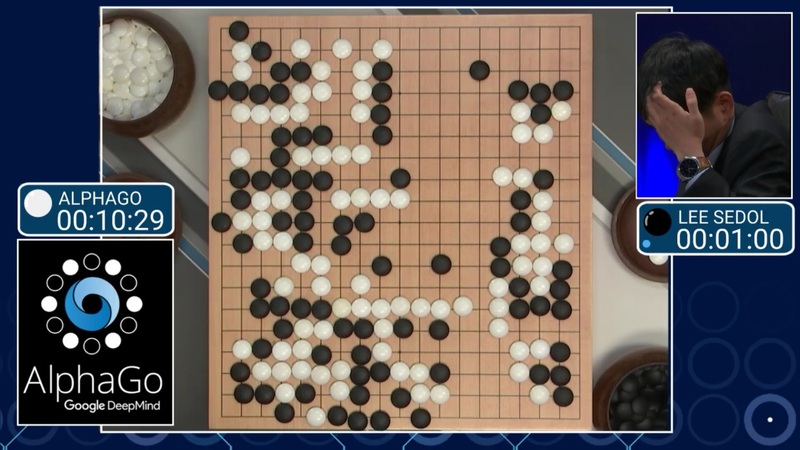 Since AlphaGo's success, it appears to me that the word "intuition" has replaced "intelligent" as THE buzz word. I've not seen it defined in any logical/reductive fashion; "it's what the human mind does" is hardly adequate, imho. Seems to me obvious that "intuition" could be defined in terms of "articulation" (or similar narrative/language focused, expressions). A thought we aren't able to articulate is an "intuition". Avoiding the abyss of "conscious vs un-/sub-conscious" and its relationship to AI and consciousness seems unlikely. Given adequate hardware, which we probably don't quite yet have on our desktops, it seems obvious to me that any goal reached by any finite series of steps will be "soluble" by machine and (eventually) be more trustworthy than what any human mind can produce. It's simply a question of a pseudo-randomly designed (evolved) (biological) computer vs a purpose designed 'silicon' one. It would make no sense for the biological machine to out perform the 'in silico' purpose built machine, once we know enough to design it. Once we are able to design it, it seems likely to me that we will be able to design a better designer.